I thought I would jump in and document the setup of my 120 gal mixed reef. It's been much more work than expected to figure everything out and make decisions on what to get to run the system. I know everyone's got their own preferences and experiences and there are 10 answers to every question however I appreciate any constructive input. 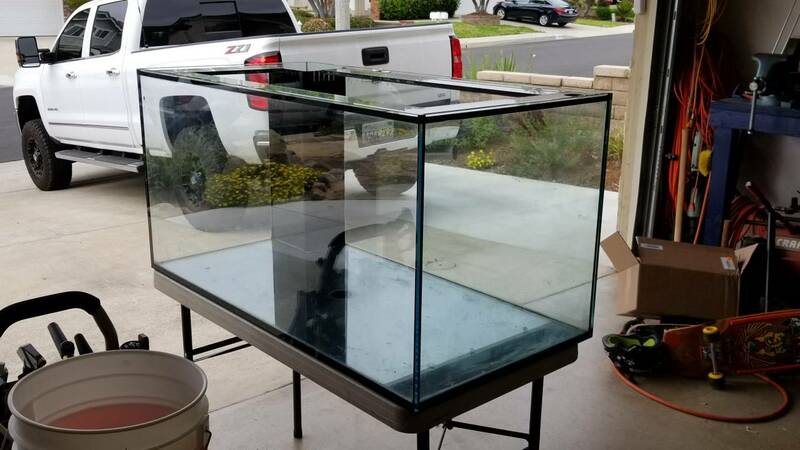 Initial plans whew to build a 75ish gallon but I ended picking up this used lee-mar 120 with starphire glass on the front panel. 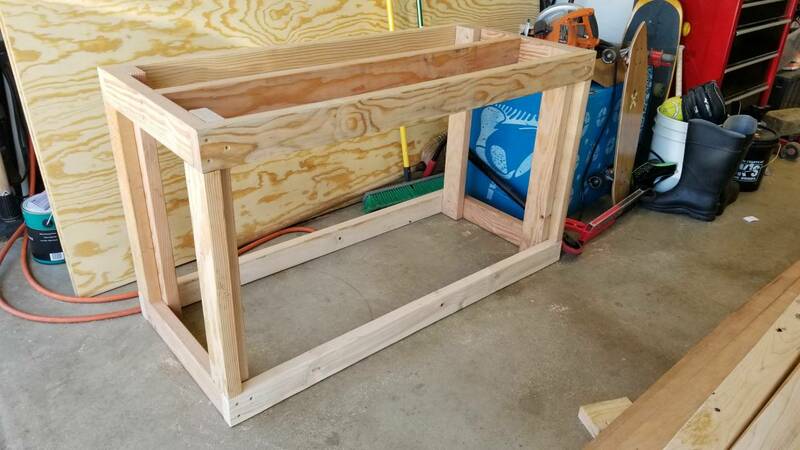 Bought wood to build a stand. 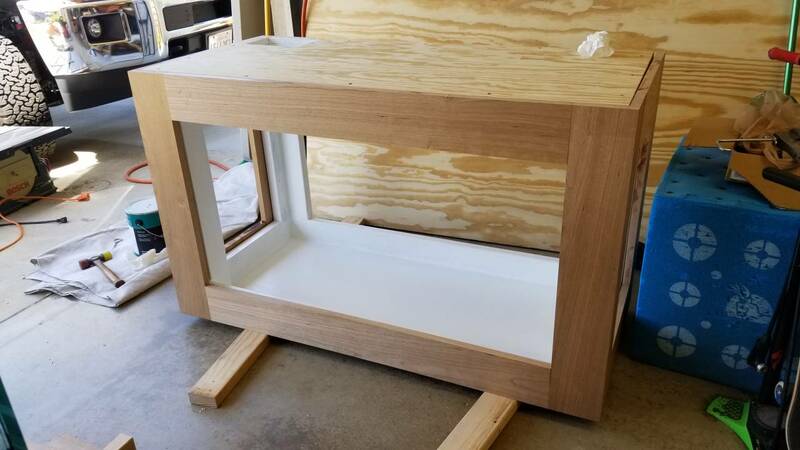 Kiln dried 2x4s for the core support and 4/4 cherry wood for the exterior as well as some external grade plywood. 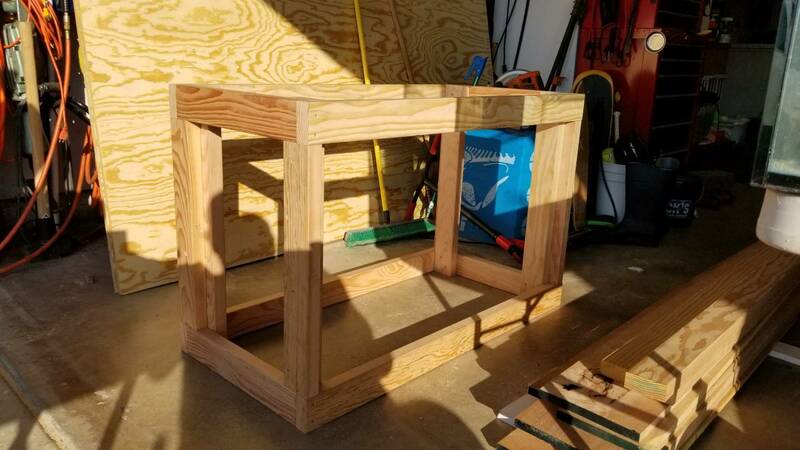 Built the core support. 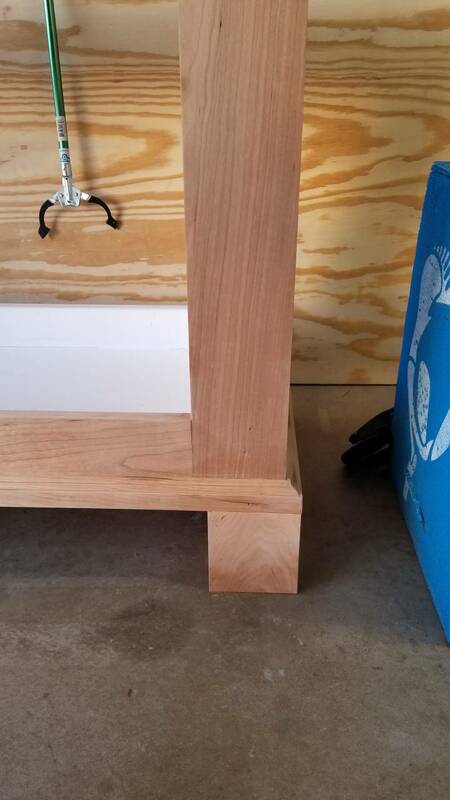 Realized I f'ed up and built it too narrow and the frame would interfere with the drains.. rejiggered it with some extra length. Added some sheeting to the top and bottom. 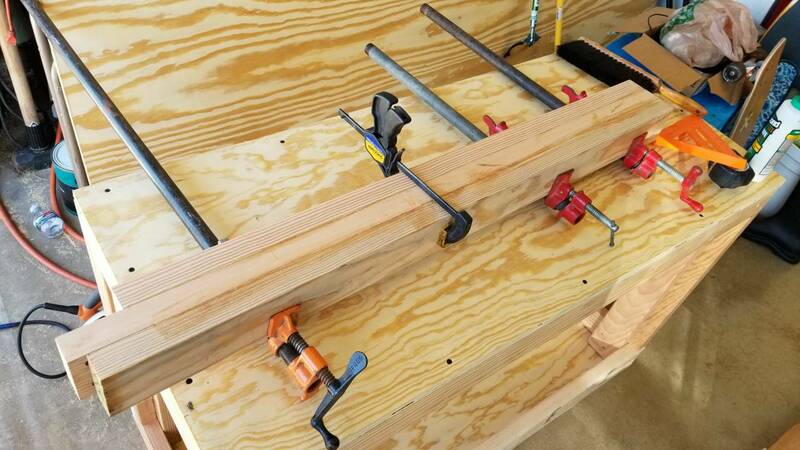 Ran the 2x4s through the table saw to square up the ends and glued up 3 together. These will be used for the cabinet legs. 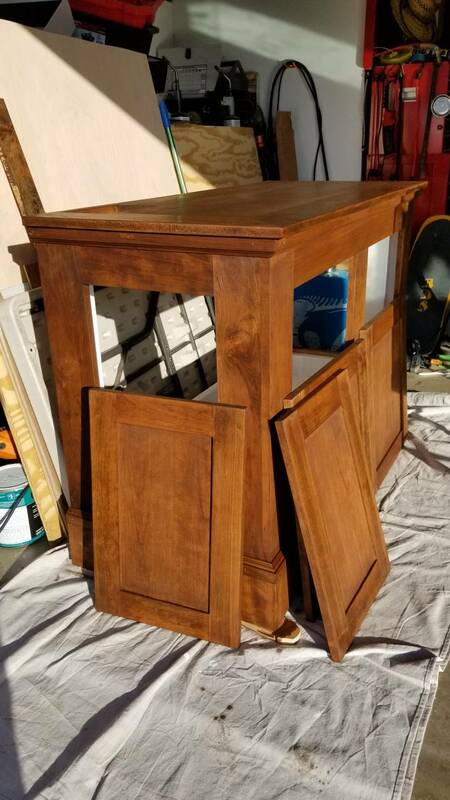 I want my cabinet elevated so I can clean and dry any spills that may get under my cabinet. 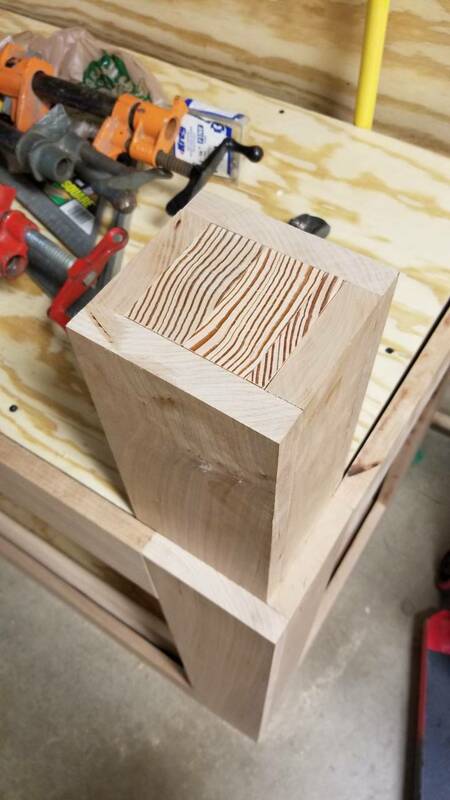 These glued up pieces will be enough for 6 legs. Have not decided whether or. It I will use 4 or 6 legs. Shipment of dry rock arrived. 75 lbs of Fiji and 50 lbs pukani.. Started sorting out the sump setup. 40 gal breeder. They sure shrink fast when you throw a skimmer and pump in there. Looks like I'll manage to get at least a 14 gal refugeum area.. maybe more if I can raise my skimmer a bit to have higher partitions and water level. 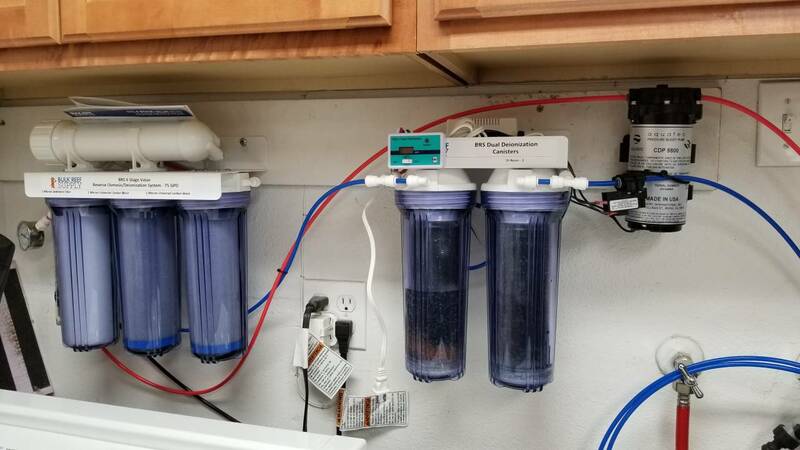 Skimmer is a Vertex 180i and the return pump is a OCTO VarioS 8. 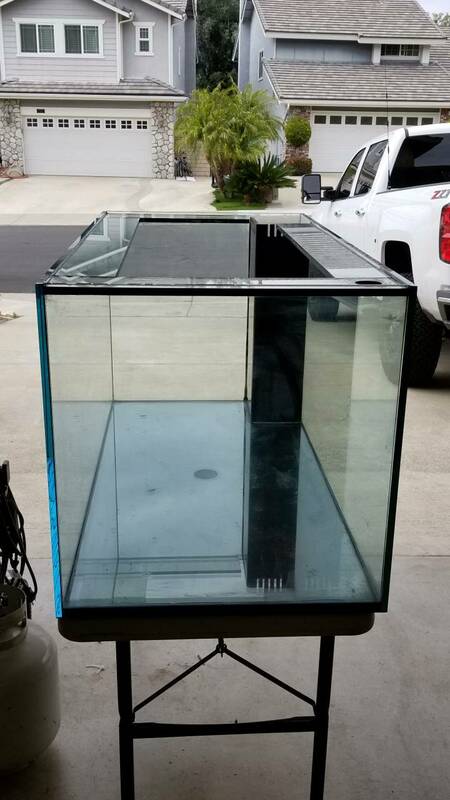 Glass sheet for sump dividers. Black acrylic for refugeum dividers. 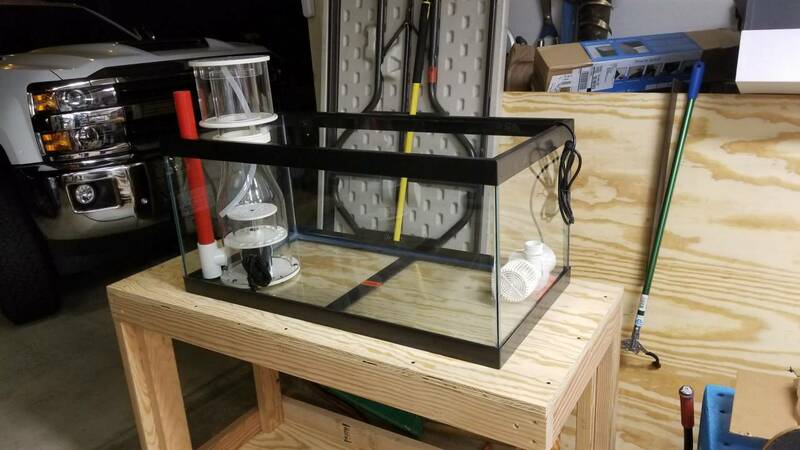 I'll get the dry rock wet and start curing this weekend and hopefully make some progress on the stand or sump. 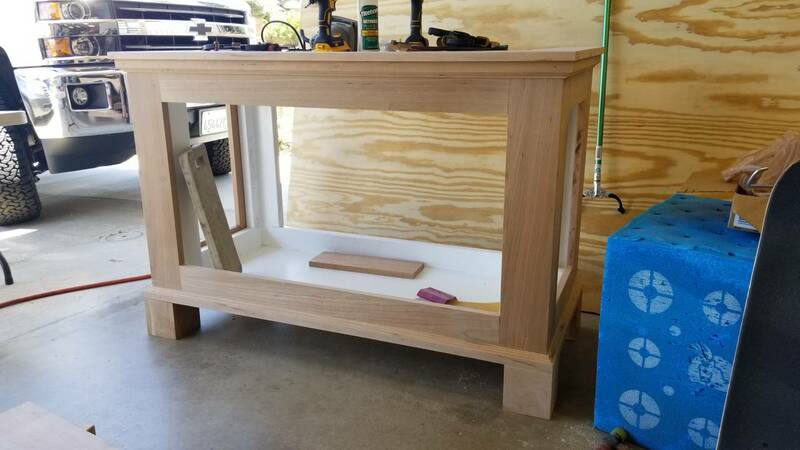 If y'all could recommend a minimum depth for an electronics cabinet I would appreciate it. 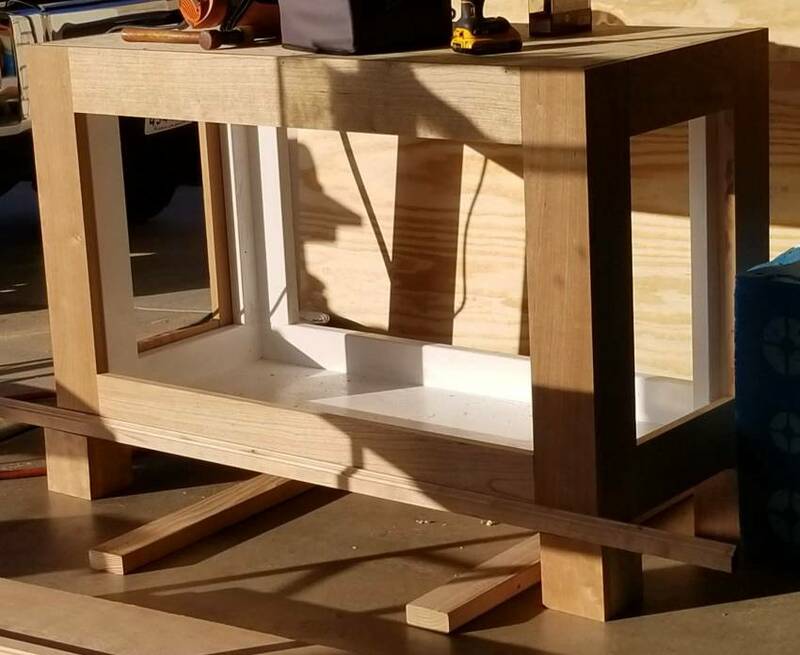 I plan on partitioning the left side of the cabinet and putting the electronics in their own area separate from the sump. Nice setup so far, you have made some great equipment decisions. This will be a nice build for sure. They sure shrink fast when you throw a skimmer and pump in there. Yes they do. Just wait until you want to add reactors and refugium and more and more stuff! It really depends on how much and what you are going to mount in there. 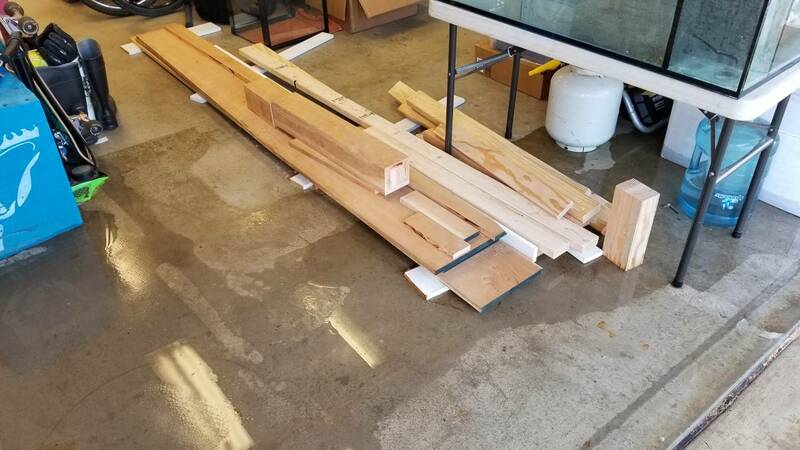 If you ever plan to expand your sump or go bigger, you will want to consider this with your plan now as it will be a lot more work later. 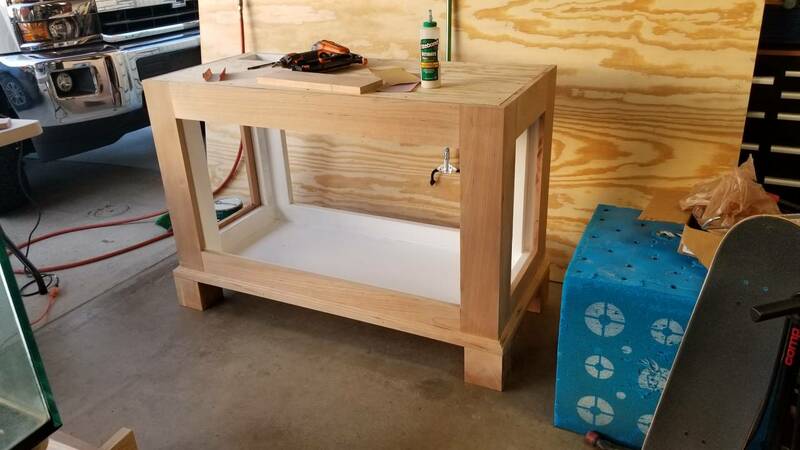 With my apex controller and other electronics, I just mounted a sheet of wood on left side on my cabinet away from sump and mounted all of my electronics there. 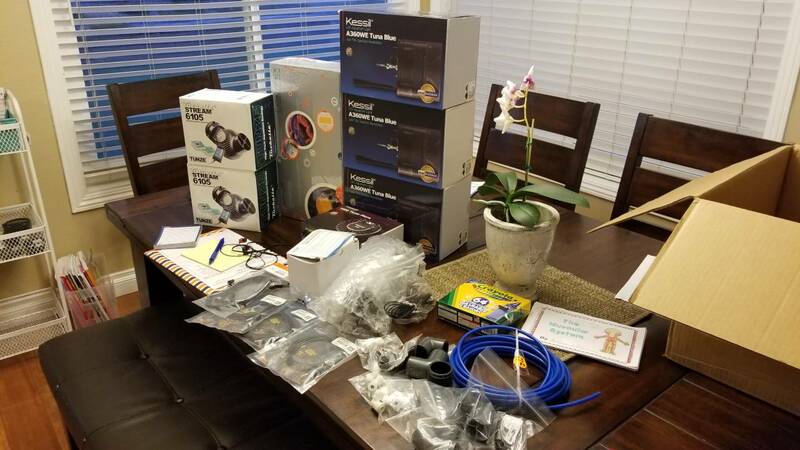 Bit the bullet and bought the last of the spendy stuff.. Apex, lights, and wave pumps.. Also threw an rodi booster pump as my water pressure is down at 42 psi.. 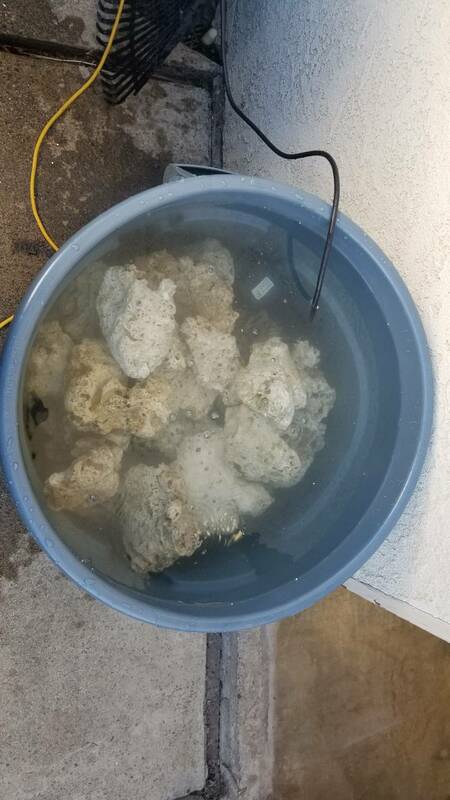 Started making water to get my rocks cured. Hope to get those soaking tomorrow. 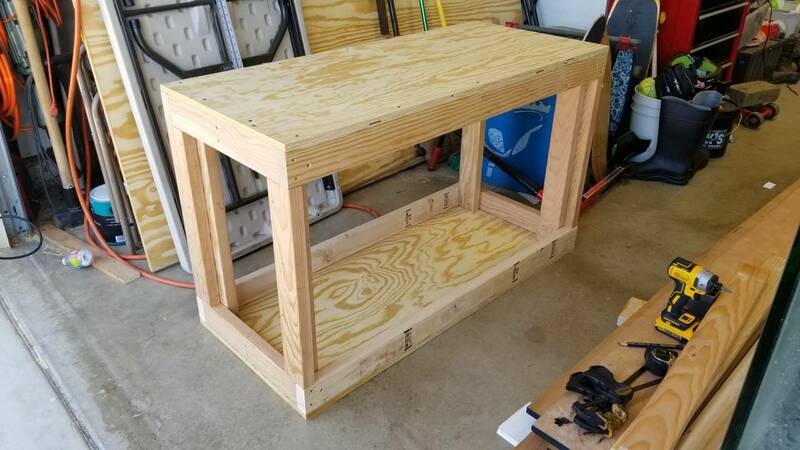 Made some progress on the stand today. 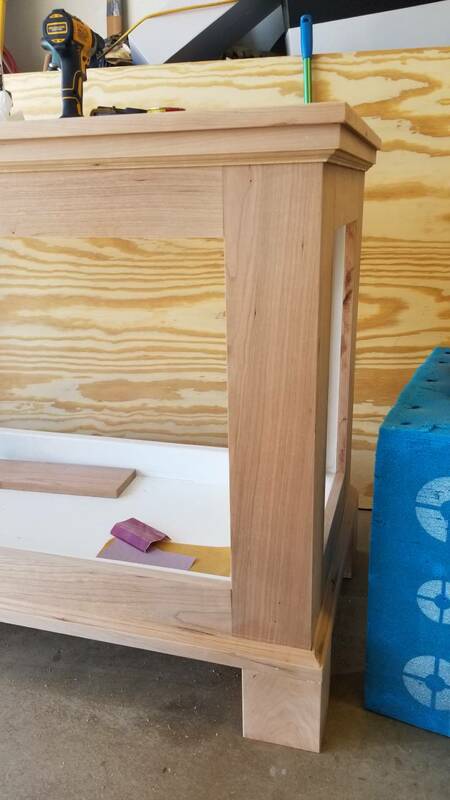 Built the face frame and clad the leg stock in cherry. 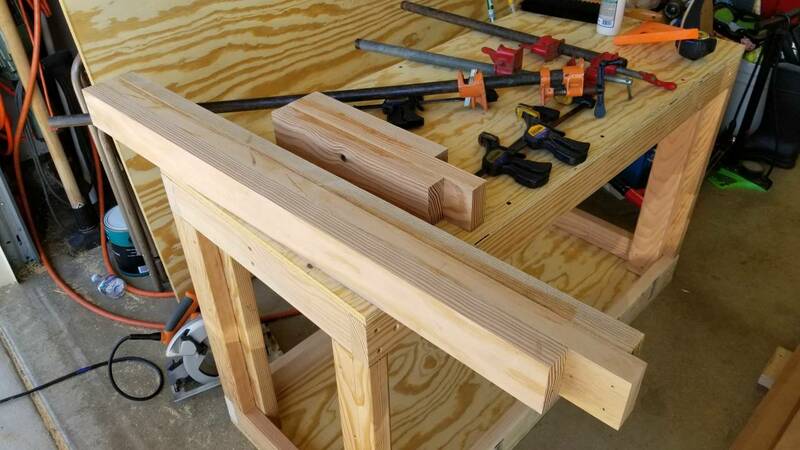 The leg stock is now 5x5 and I realized I can't cut that deep. Putting a taper on the leg is going to be tricky. Might have to taper it in my milling machine and show it who is boss.. LOL. Well that didn't take long... Had my first rodi bucket overflow. Forgot to turn off the water filling a 5g bucket. Takes forever to fill a bucket but floods the garage in no time. LOL. Been there done that. At least yours was in the garage.... Learn from this though. 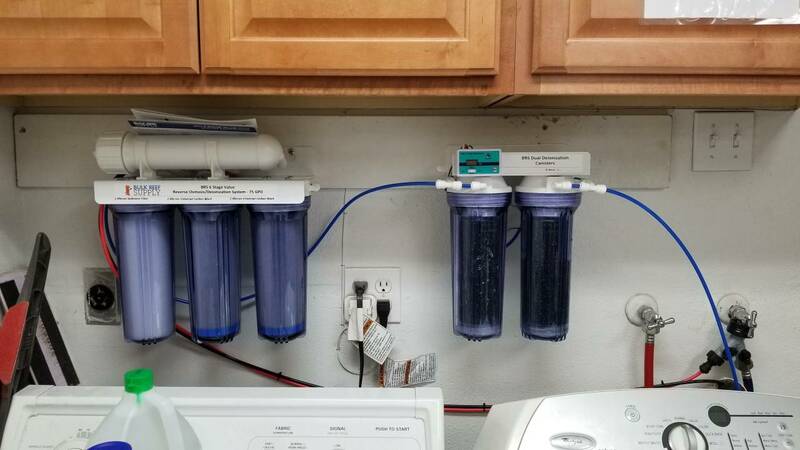 Years ago, accidentally left 5 gallon RO container filling up on kitchen counter. Forgot about it and went to bed. It wasn't good. Yea, I plan to do my filling outside eventually along with a float switch. Got the core support caulked and painted with exterior paint. Also cut in the port for the drain. Working on gluing the face frame on.. List of stuff ordered. This should be about the end parts needed to get things set up.. few more pieces needed from home depot. 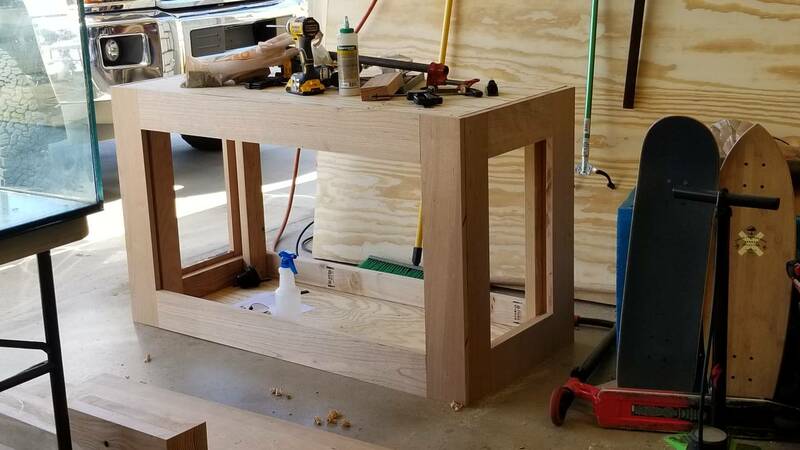 Got the legs cut and made up some trim up using the router. 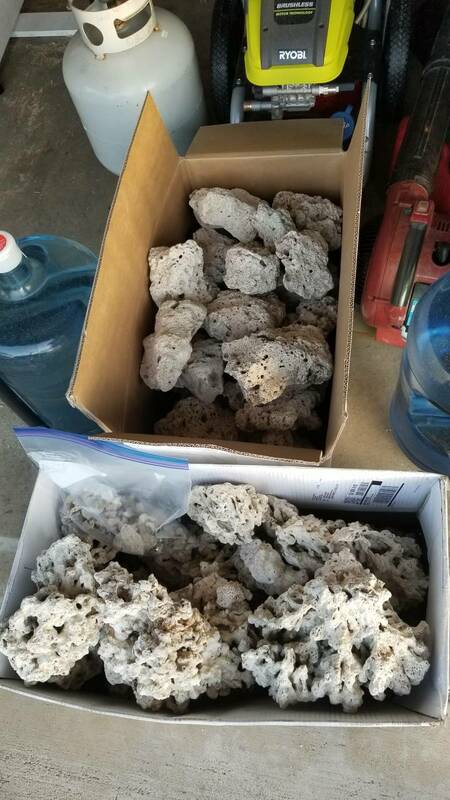 Got the 125lbs of dry rock curing. Added some starter bacteria. Running a pump in there for water movement. Anyone know if I should make it so the surface is agitated or is the water circulating enough. Also, can I keep a lid over it or should the top remain open? Yes, make it so there is some surface agitation for gas exchange. I would leave lid off or at least partially propped off for adequate gas exchange. Thanks for the response.. Will do. 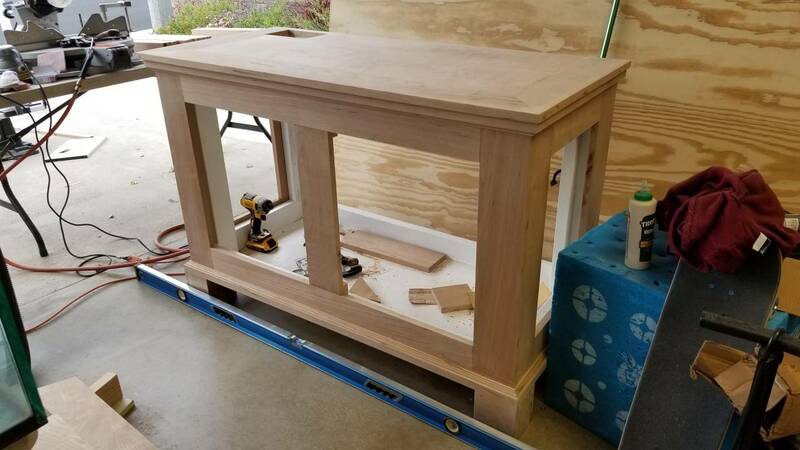 Got the legs and lower molding attached. Did some sanding..
Tabletop boarder and underside trim attached. Nail holes filled and sanded. Headed to Panama tomorrow so progress is going to halt for a week. Back at it.. got the center post in to separate the cabinet doors. It is removable so I can get the sump in or out if needed. 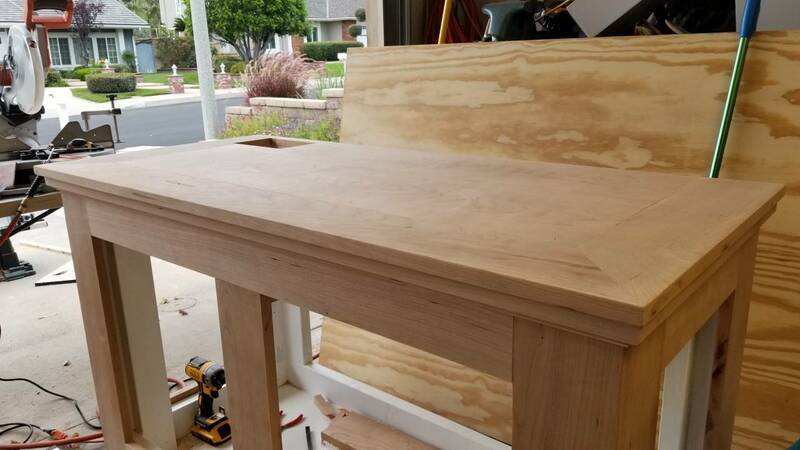 Also got the table top construction finished. 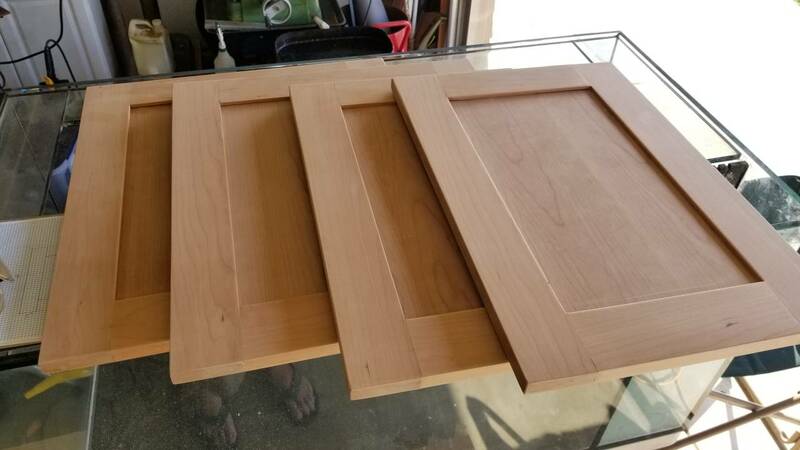 Up next is doors and final finishing. Got the apex running and connected to fusion.. been monitoring the temp in my garage all week and checking out the settings. Rock still curing in the brute. Did a 5 gal water change on it today. Got the rodi booster pump installed. House pressure was at a out 40psi. It took 2:20 to fill a 5gal bucket. With the booster pump I am pushing about 85psi and water production is visibly more. I'll time the next bucket fill. 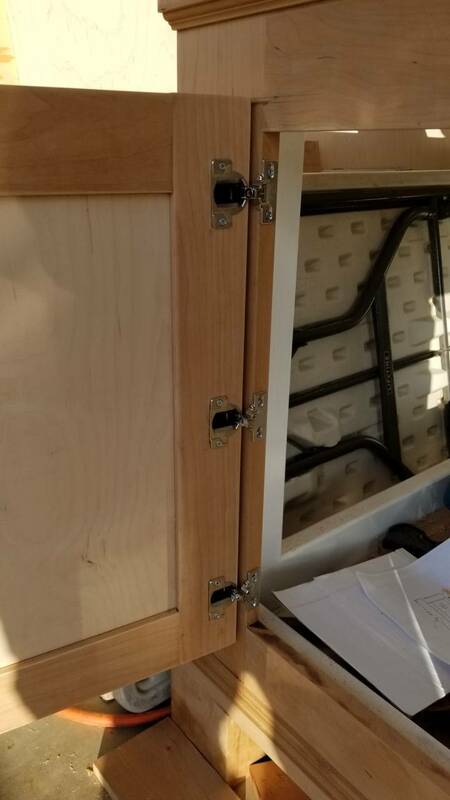 Got the cabinet doors built today and hung them on the hinges. I may be a little optimistic, but I'd really like to get water in the tank the weekend after the 4th. Thanks. 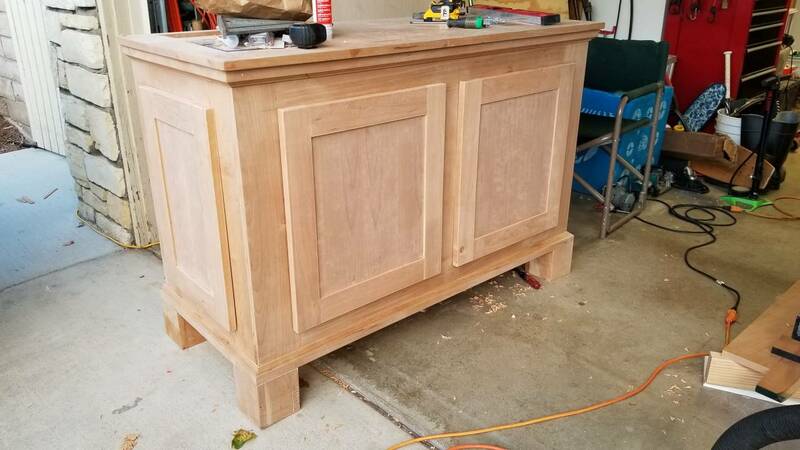 I'm fairly pleased considering it's my first time making anything like furniture. Wish I was competent enough to do what you've done. It's looking great so far. 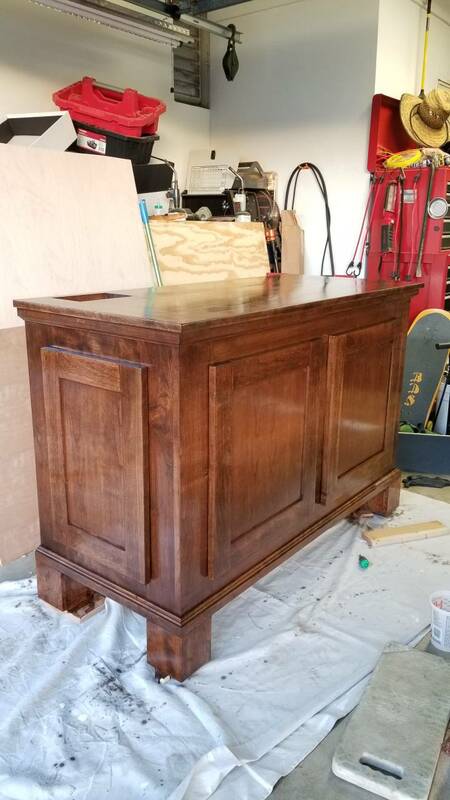 Got the stand finish sanded and a coat of stain on it. Exterior finished today. 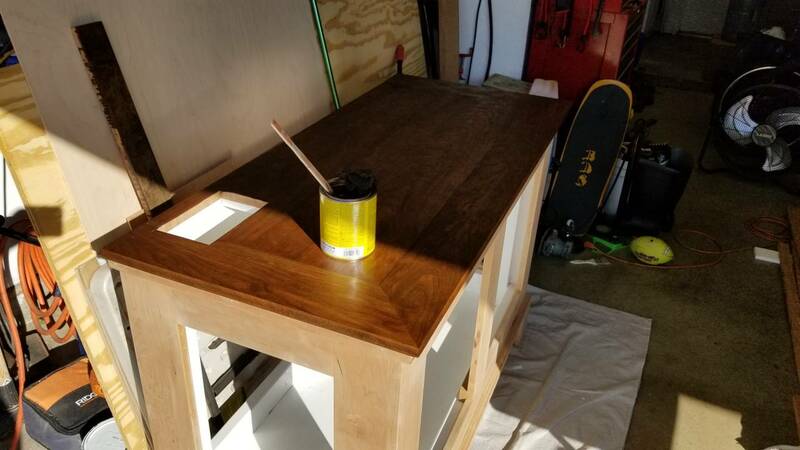 Cherry wood with 2 coats of Special Walnut oil based stain followed by 3 coats of gloss polyurethane. Once I start fitting the sump and components I'll put in an electronics partition. Also need to cover the back. At least the hard work is done. I'm ready to move forward on the cool stuff.